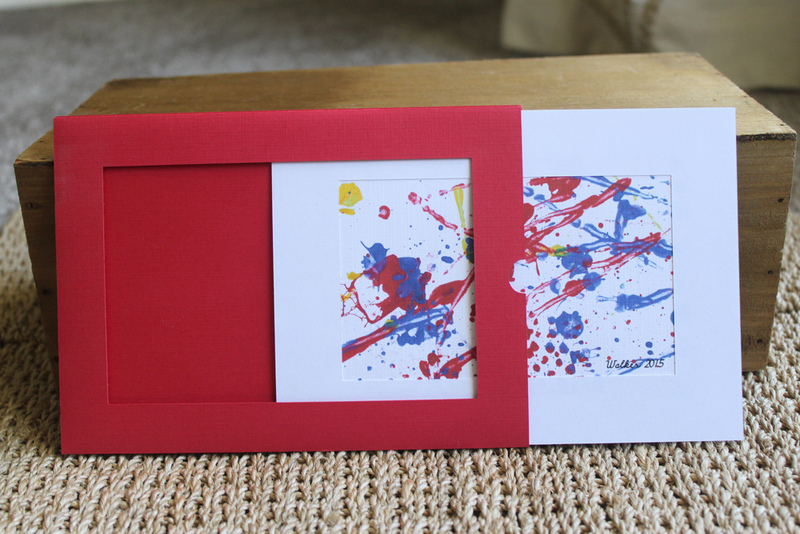 A piece of artwork created by the birthday boy is showcased in a frame that holds this invitation. After sliding the card out, the guests can see all the party details on the back, along with hand-drawn illustrations of the boy’s name. As a bonus, family and friends will have the artwork as a keepsake.